Glen Bauer is a National Academy of Sports Medicine (NASM) certified personal trainer. He also has a background in martial arts. 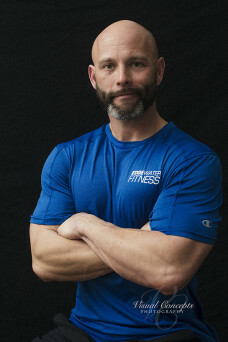 He loves to instill his passion for fitness and exercise into every client he trains. Setting goals and accomplishing them along with a healthy lifestyle change is priority number one. Using the guidelines set forth by NASM, he will use functional training that translates to everyday life, and a round or two with the punching bag will help knockout stress.